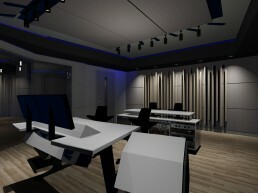 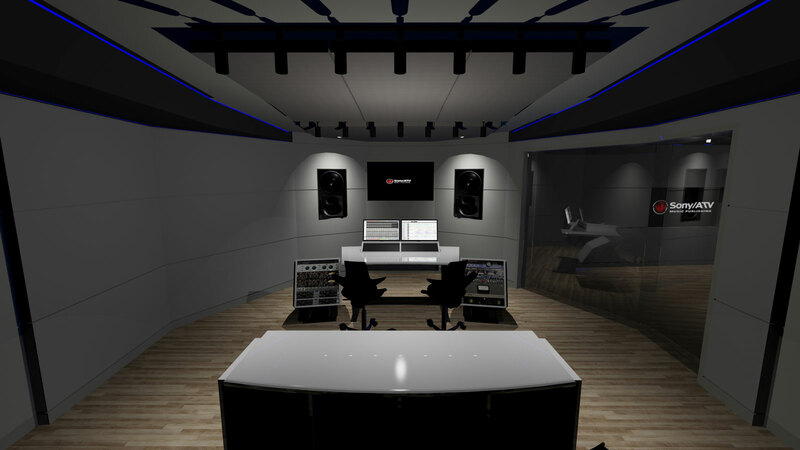 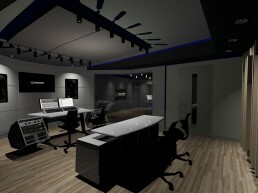 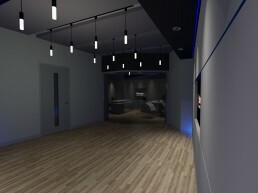 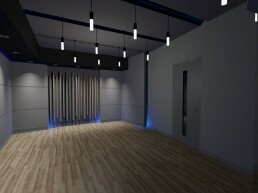 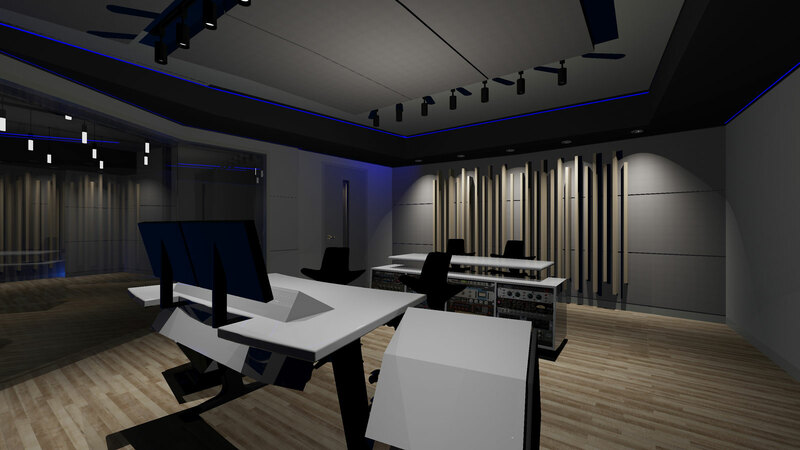 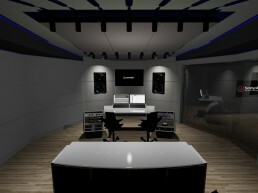 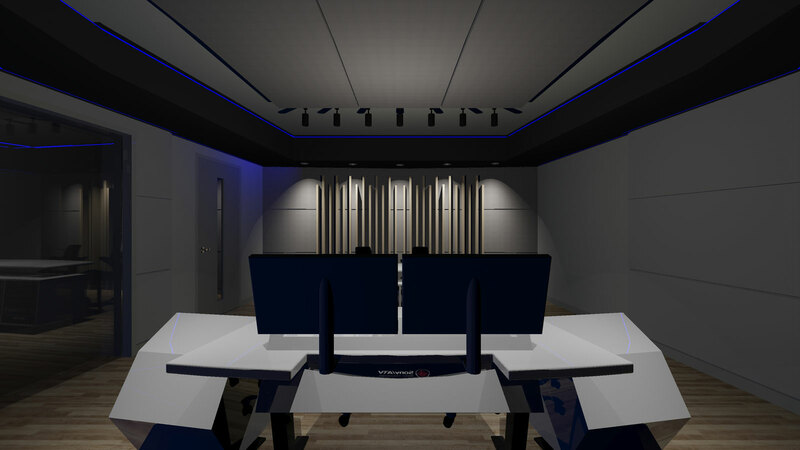 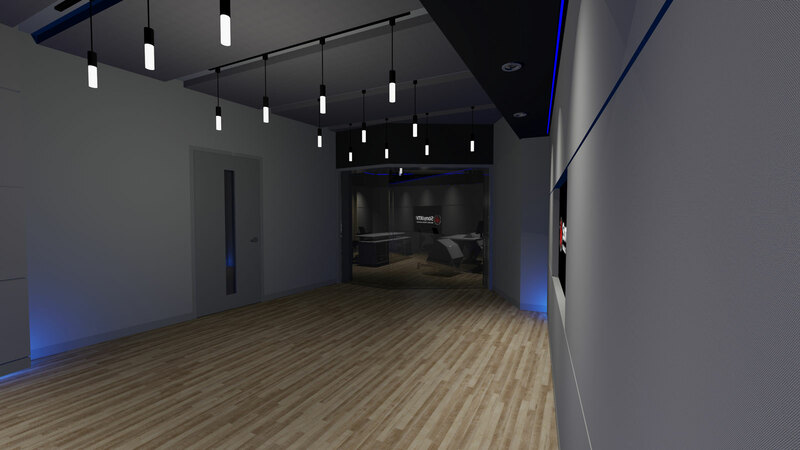 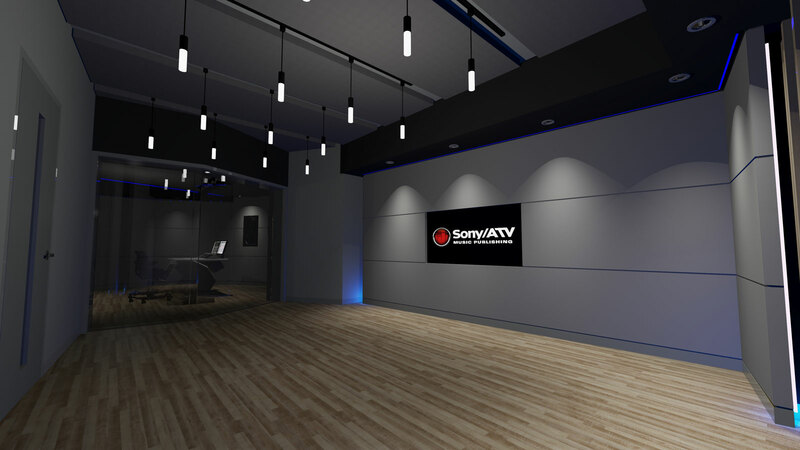 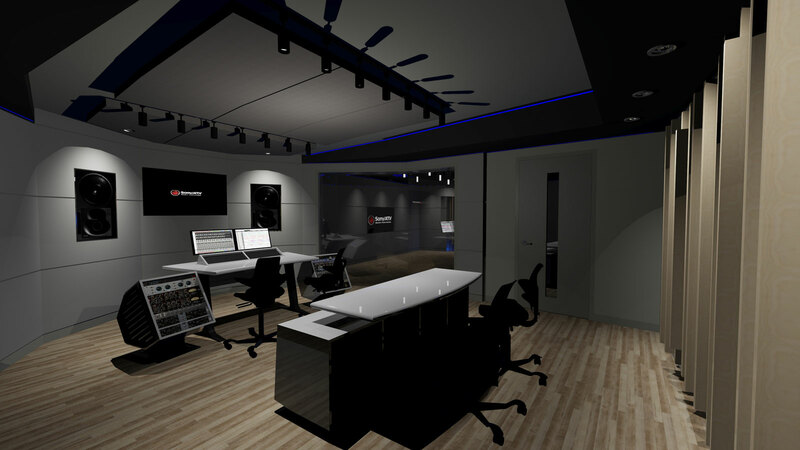 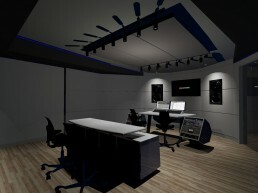 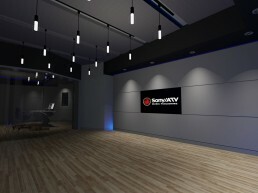 Sony | ATV Publishing Concept | Pilchner Schoustal International Inc.
Sony / ATV Publishing reached out to Pilchner Schoustal Inc. to design four recording studios for their new facility in Beijing, China. 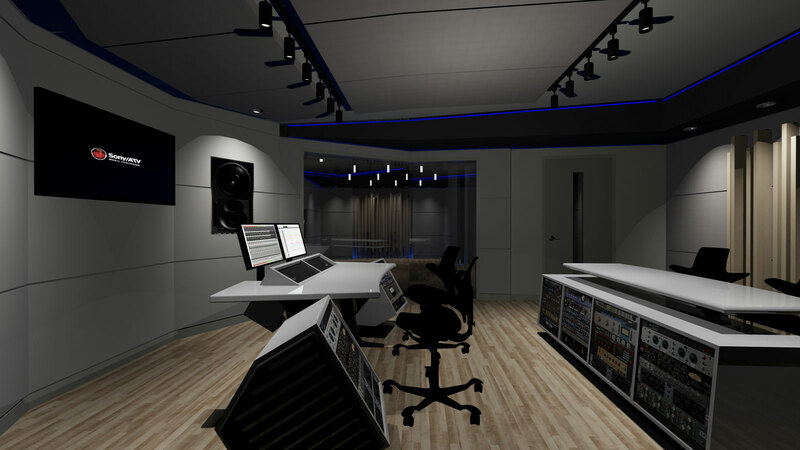 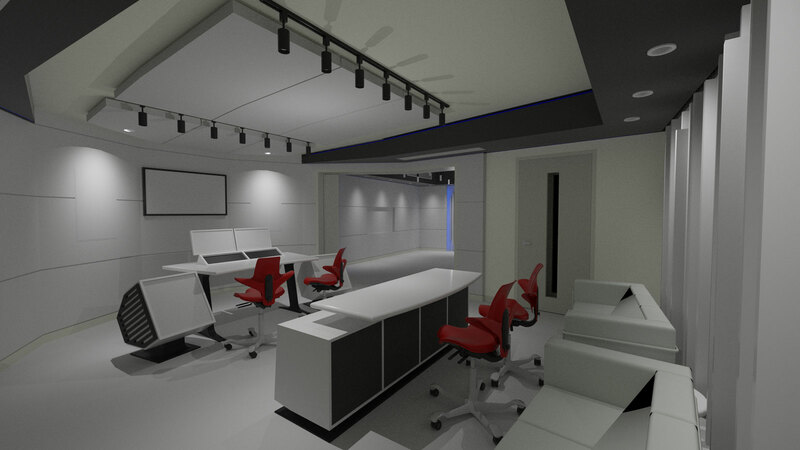 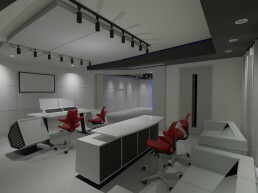 Design was carried out in our office and realization was managed by our strategic partner Huanyu Acoustics. 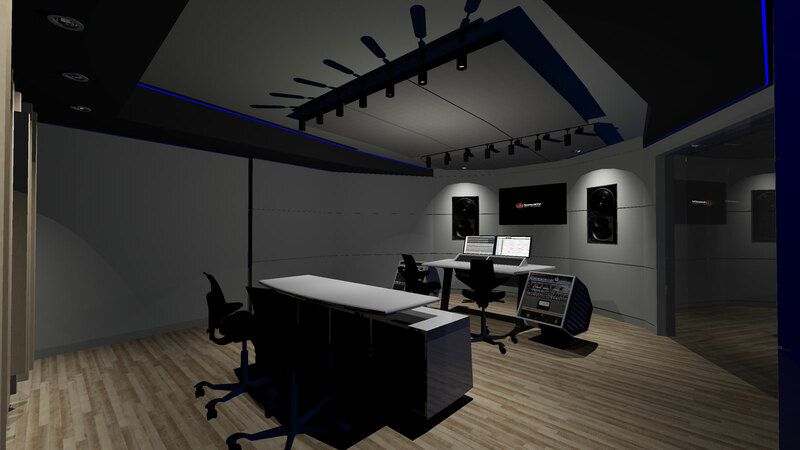 The walls of the control room utilizes strategically placed specular absorption, in addition to absorptive ceiling assemblies. 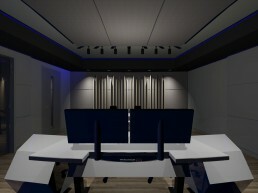 Rear wall features low frequency trapping and with integrated diffusion. 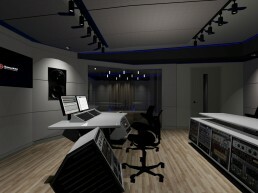 Large floor up windows are used to separate the control room from the studio floor for ease of communication between engineers and performing artists. 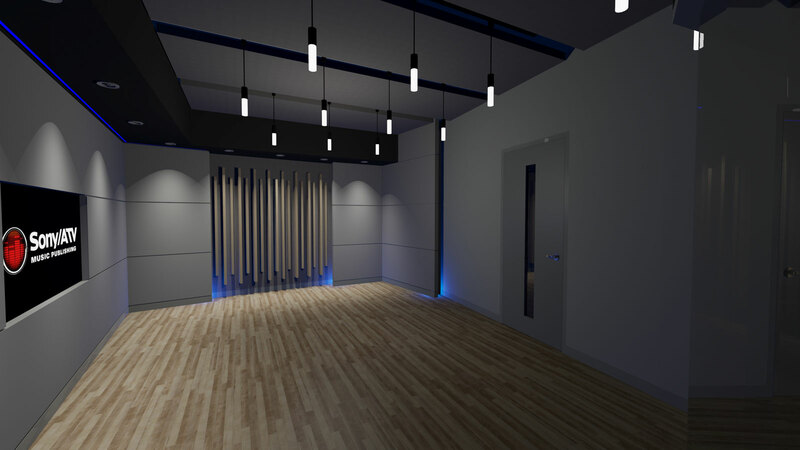 The studio floor offers excellent site lines for performers and features varying wall and ceiling absorption treatment as well as a diffusive end wall assembly.